There are many reasons for choosing renewable energy. The world we live in is warming and polluting rapidly, the burning of fossil fuels for heat and energy plays a huge role in this warming process, and these fossil fuels (ie, gas, coal, oil) will eventually run out. 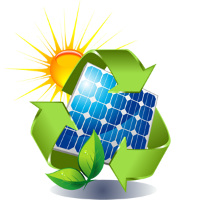 By choosing renewable energy not only are you reducing your carbon footprint and playing your part in cleaning up the planet, but you will also reduce your own energy bills and benefit from the financial incentives in place, which reward the installation and production of clean electricity and heat. Funding help and cash back incentives are available for the installation of renewable energy systems through Home Energy Scotland Renewables Loan Scheme, The Renewable Heat Incentive, and Feed-in Tariff Scheme. To qualify for the incentives and funding currently available your system must be installed by an MCS (Microgeneration Certification Scheme) certified installer like Premier Plumbing & Heating.